The report will provide a comparative analysis of the services provided by three website hosting organisations, Crazy Domains, Digital Pacific, and GoDaddy. Domain name system (DNS) controls the website and email of your domain name. Names registered in the Domain Name System (DNS) are domain names. DNS converts Internet domain and host names to IP addresses. DNS Services give users control of their domains and automated zone file editing. 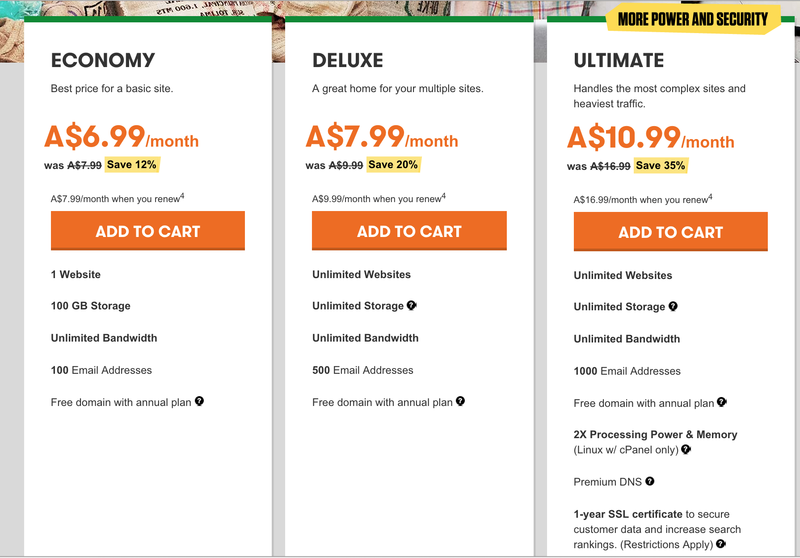 For example, if I choose AusRegistry’s DNS settings (which are stored in a zone file), visitors will reach AusRegistry’s servers when using my domain name. If I change the DNS settings to those of another company, visitors will reach that company instead when using my domain name. Crazy Domains plans. Source: Crazy Domains. Digital Pacific plans. Source: Digital Pacific. When a user registers a domain, his or her personal information is entered into a public directory, which can be used by hackers to steal domains and to compile mailing lists. Proxy registration services can restrict such information from public access. 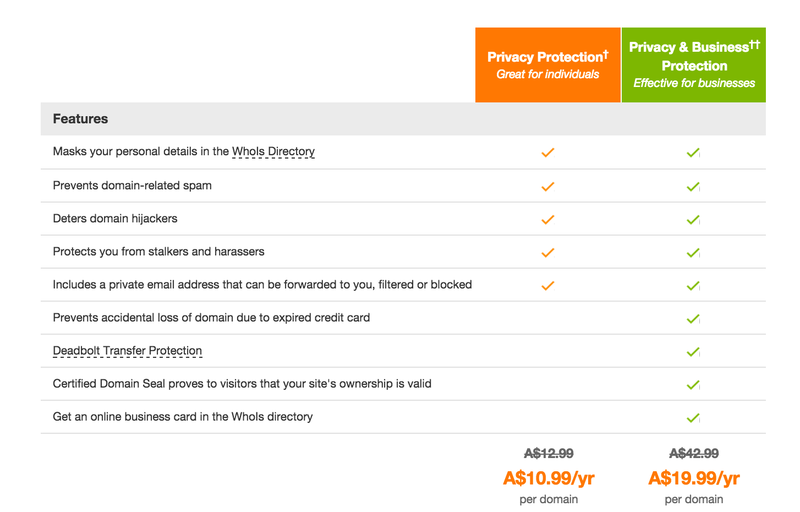 With the exception of Digital Pacific, the chosen web hosting organisations provide options for domain privacy. 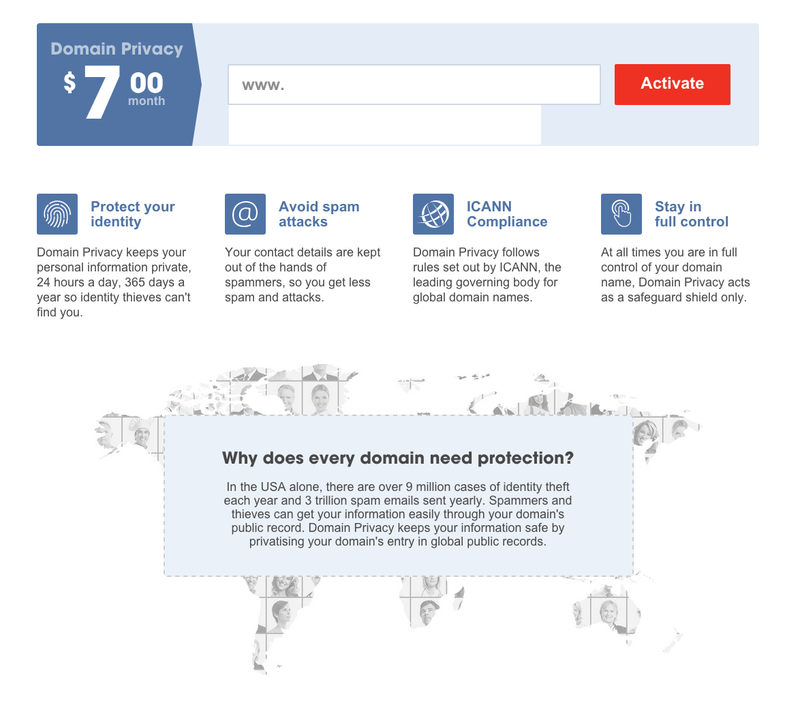 Crazy Domains offers domain privacy at an additional AU$7 per month. 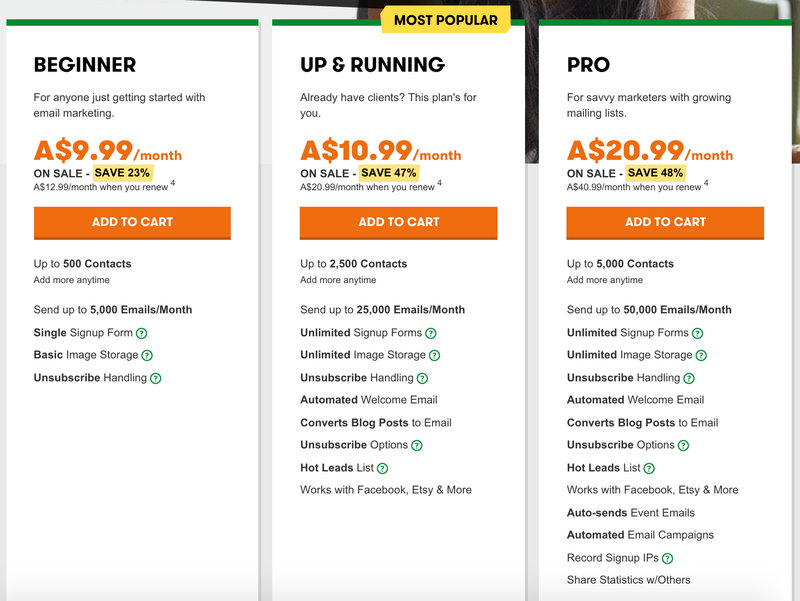 GoDaddy domain privacy. Source: GoDaddy. A mailing list can be defined as a collection of names and email addresses used by a company to send information or promotional material to multiple recipients. In addition to the number of email addresses/accounts provided by the web hosting organisations (see above: Domain Name Service), two of the three organisations provide email marketing services to its customers for additional fees. 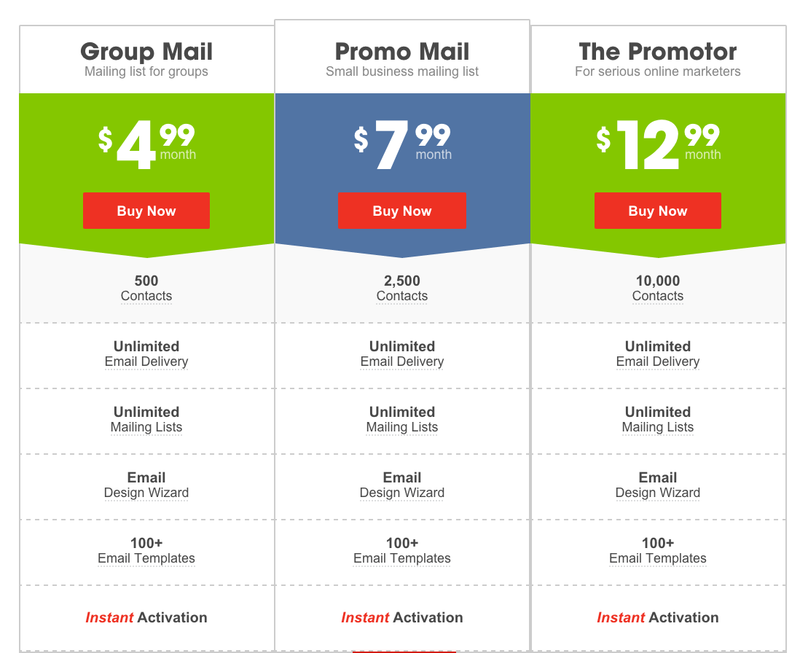 Email marketing plans. Source: Crazy Domains. Email marketing plans. Source: GoDaddy. 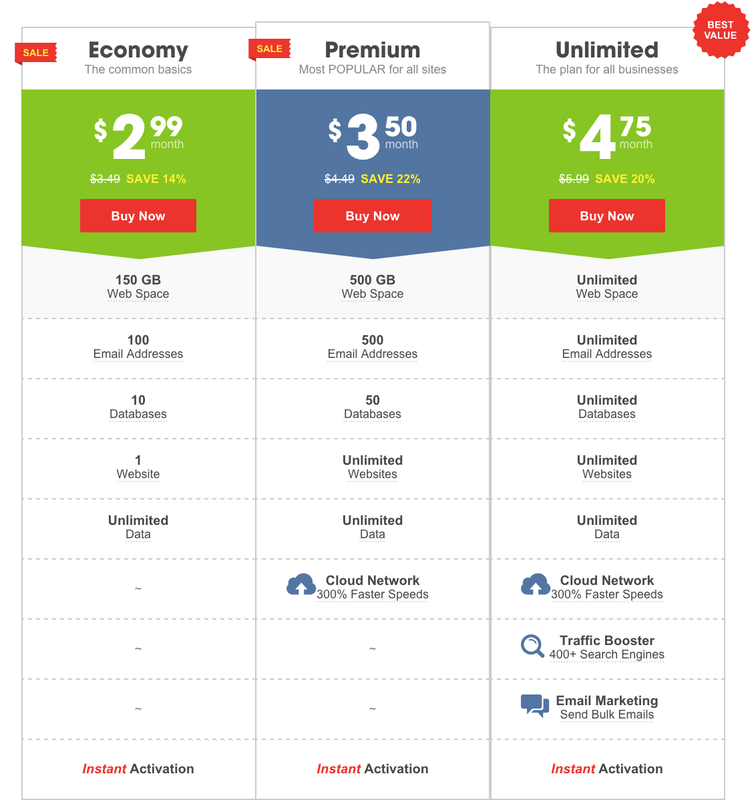 Digital Pacific allows its customers to use Shared Web Hosting to stay in contact with their customers. However, outgoing email is limited to 1,000 per hour. Data capacity is the amount of stored information that a device or medium can hold. 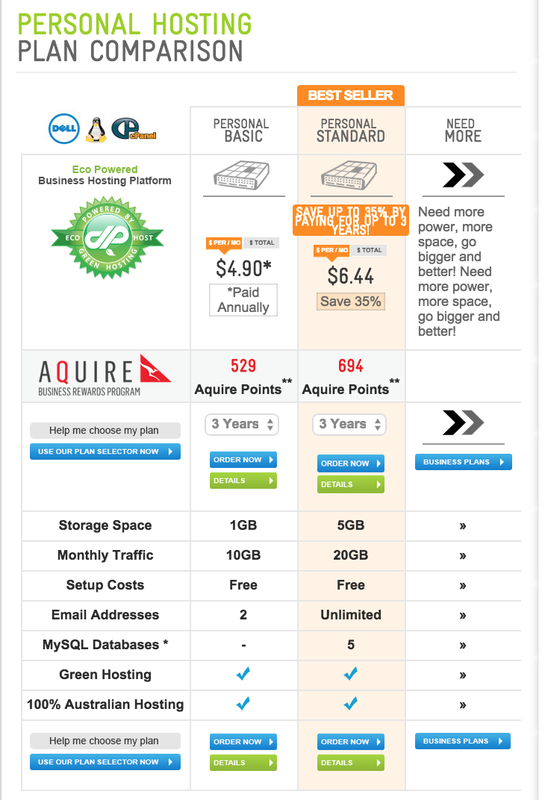 Web hosting organisations can offer limited or unlimited storage. Please refer above to the ‘Domain Name Service’ segment for information on each web hosting organisation’s web hosting plans and corresponding data capacities. Security refers to the defence of information from unauthorised access, use, disclosure, modification, or destruction. 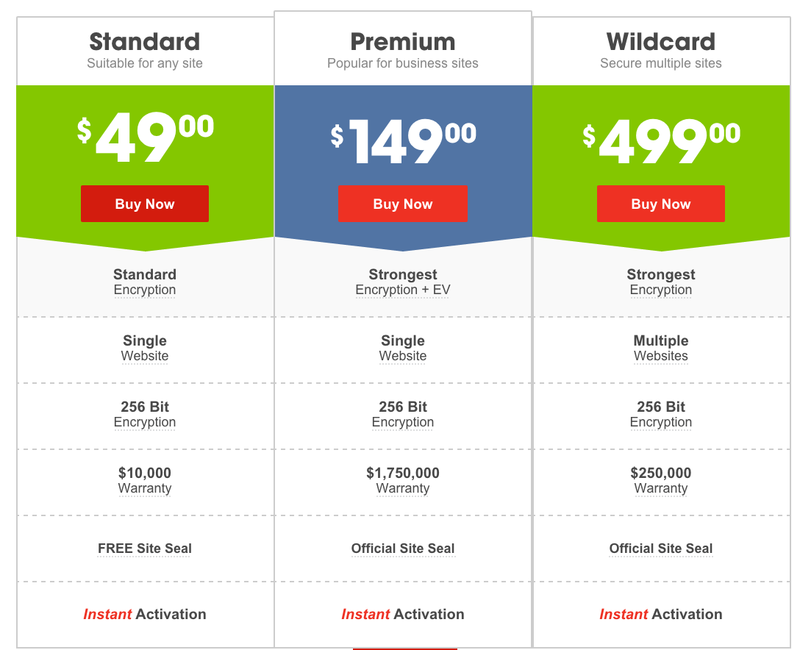 Crazy Domains offers SSL certificates to its customers as a means to secure websites and data. An SSL Certificate encrypts sensitive data (e.g. credit card numbers and passwords) submitted by users to the website. This is done to ensure that hackers and online criminals cannot access the sensitive information. SSL Certificates. Source: Crazy Domains. 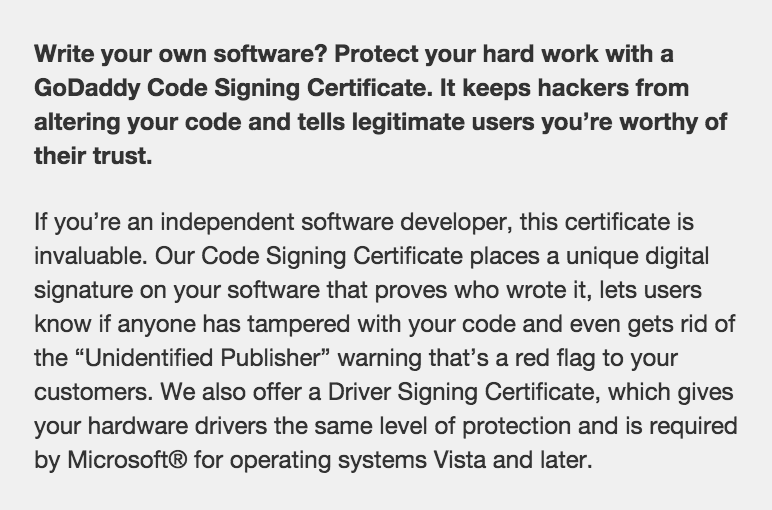 GoDaddy Code Signing Certificate excerpt. Source: GoDaddy. 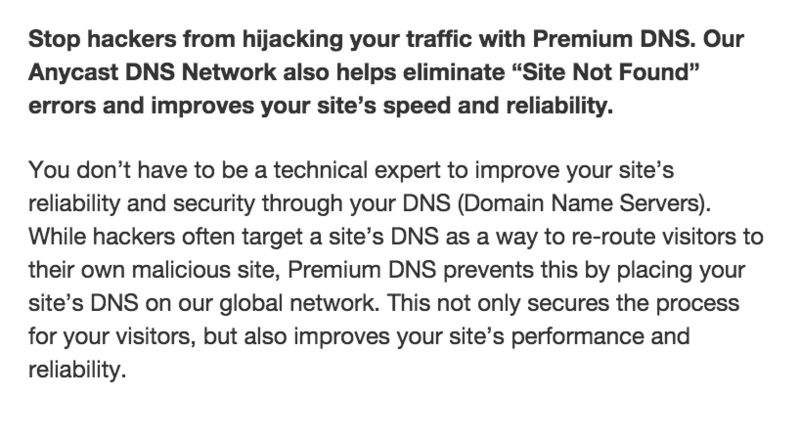 GoDaddy Premium DNS excerpt. Source: GoDaddy. 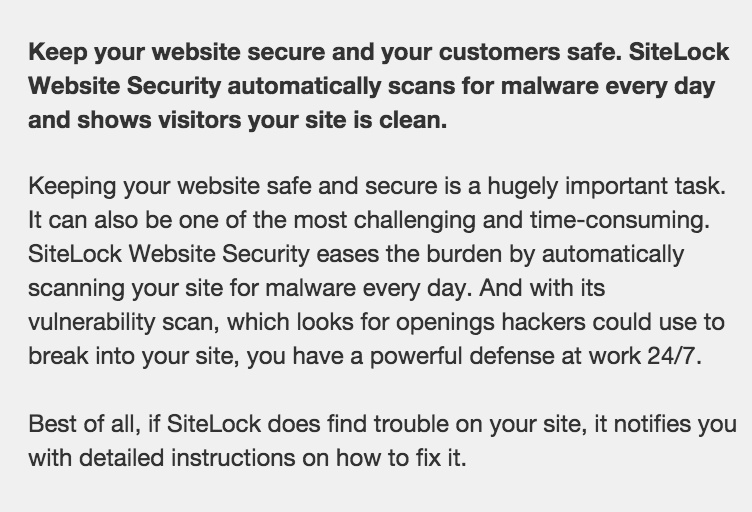 GoDaddy SiteLock excerpt. Source: GoDaddy. 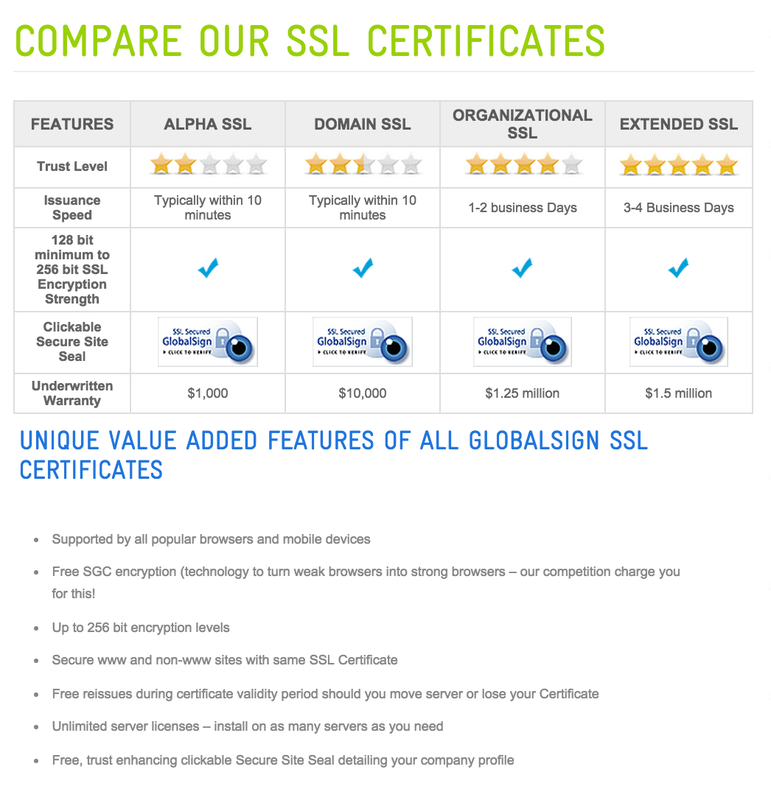 SSL Certificates. Source: Digital Pacific. Crazy Domain, Digital Pacific, and GoDaddy provide MySQL database access and creation as well as scripting in PHP5, PERL/CGI and Python programming languages in all levels of their web hosting plans.